Having your chairs serviced regularly, we will guarantee to prolong the lifetime of your Evac+Chairs. As a Class 1 Medical Device, your Evac+Chairs should be regularly serviced and maintained to ensure its safe operation. This requirement is included within the PUWER Regulation. (Provision and Use of Works Equipment Regulations 1998). To help clients meet this legal requirement Evac+Chair offers a 12 month maintenance contract, which ensures your Evac+Chairs are fully operational, meet legal obligations and are ready for emergencies. The engineer will attend site, inspect and maintain your Evac+Chair and leave a copy of the service report for your records. 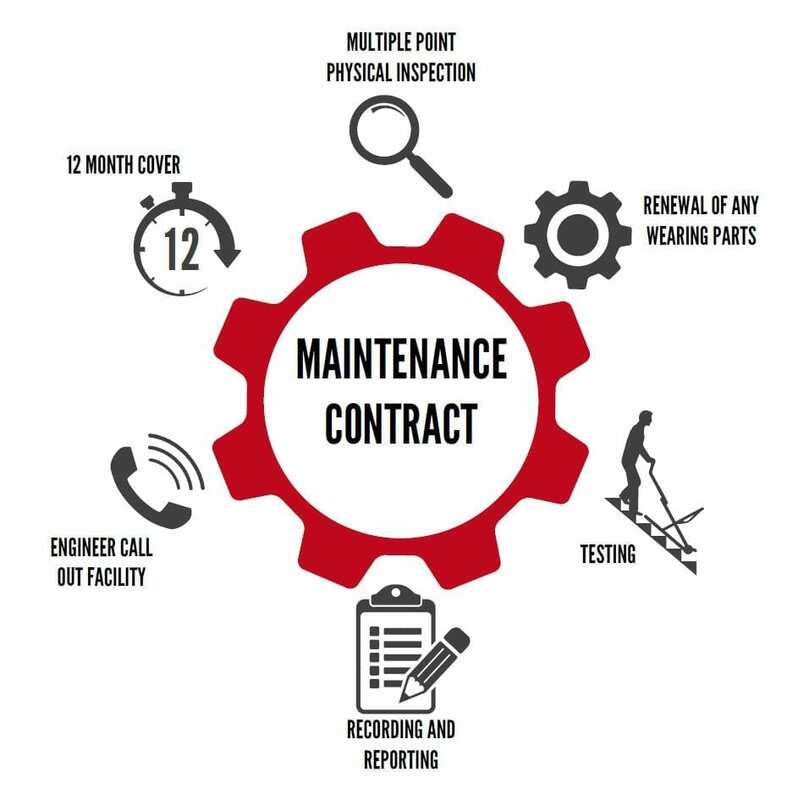 Should you have any cause for concern regarding your chair, your maintenance contract also covers an additional call out which will not jeopardise your planned preventative service visit. Need help with the installation of your Evac+Chair? We offer an installation service with all of our Evac+Chairs. A service engineer will come out to site and install your Evac+Chair to the wall using provided wall hooks. They will also provide expert advice and guidance on the most effective locations within your building. To arrange your installation please fill in the contact form or call 0121 706 6744.